We’ve come to the climax of the ‘Quenta Silmarillion’ story. ‘Of the Ruin of Doriath’ started the ball rolling which led to the events in this coming chapter. However, the seed had long been planted way back in ‘Of Maeglin’, the elf who was one of the causes of this disaster. Through its vast geography, politics and characters, Tolkien manages to fuse one seemingly unrelated event a 100 pages earlier and expand on the consequences of that occurrence later on. 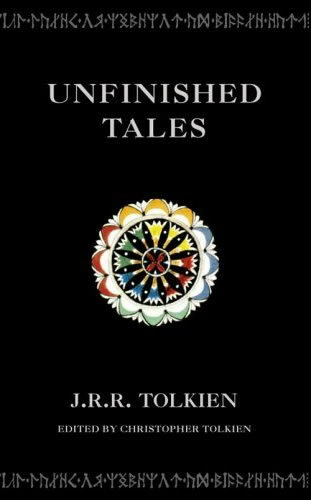 I’ve always looked at the ‘Unfinished Tales’ as one stocky appendix book, containing all the intricate information (in prose form) that could not possibly fit at the back of ‘The Silmarillion’ and ‘The Lord of the Rings’. It goes without saying but here it goes (… with the saying). This book should only be read AFTER you’ve gone through all three major books.